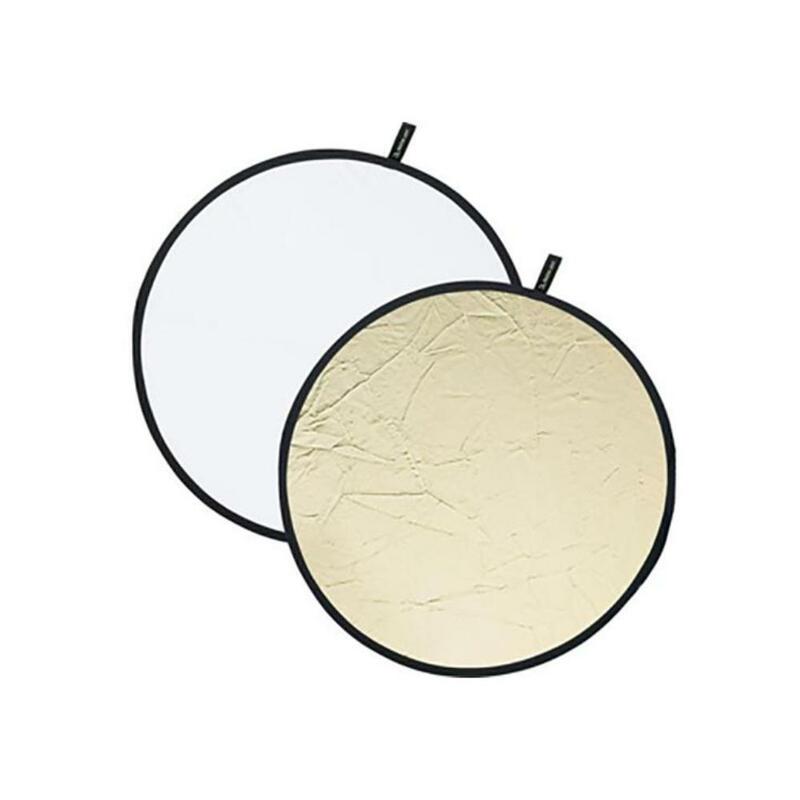 The 20" White/Sunlight Reflector has a spring-loaded design that pops open to its full 20" diameter. It is ready-to-go with 2 different reflective surfaces. The "sunlight" side of the reflector gives you increased contrast with a combination of silver and gold for a subtle warming effect. The white side gives you a neutral color temperature with softer, less contrasty fill/bounce. This is ideal for on-location portraits. • This rental is for 1 double-sided reflector. The image looks like 2 reflectors only to show what each side looks like.